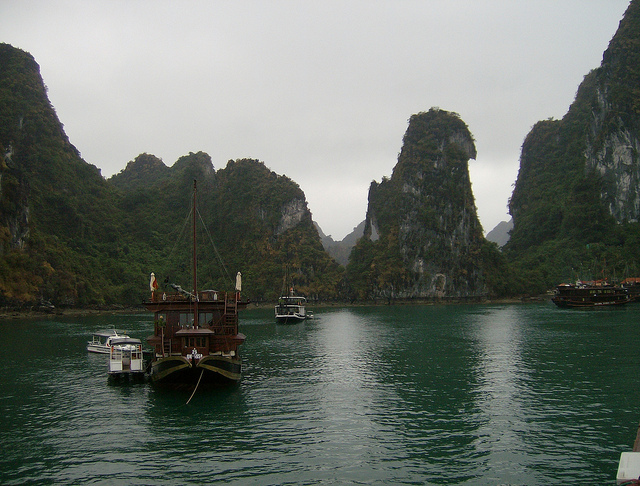 Read a short summary of Vietnam’s history and what you’ll find is far from being a pleasant read. But for a country whose most recent and most horrific war ended a scant three and a half decades ago, Vietnam is remarkably fun, light-hearted and welcoming. Like many of its Southeast Asian neighbors, Vietnam is a popular backpacking destination, where travelers with not much money but with a thirst for new sights and experiences have have the trip of a lifetime. The cities are a flurry of activity, the countryside is scenic beyond belief and the culture is fascinating. If you want an exotic holiday, or the craziest adventure you’ve ever experienced, try backpacking in Vietnam. You can look at traveling between different destinations in Vietnam as not just a necessity, but also a chance to experience different aspects of Vietnamese life and people from different walks of life. Traveling by train around Vietnam is probably the most comfortable way to get around, especially if you don’t mind spending a bit f extra money on the more comfortable, air conditioned sleeper car. You’ll meet mostly people who are well off, since train is not the cheapest way to travel in the country. Buses are more affordable, and about as comfortable as regular train cars, but they can be rather slow. If you are afraid of getting bored to death on an eight hour trip from Ho Chi Minh to the Mekong Delta, it’s a good idea to book overnight trips. Open tour buses for tourists, although they are probably not the first thing a backpacker would think of, can be a pretty good bargain – they are quite cheap, and will often pick you up from your hostel or hotel. 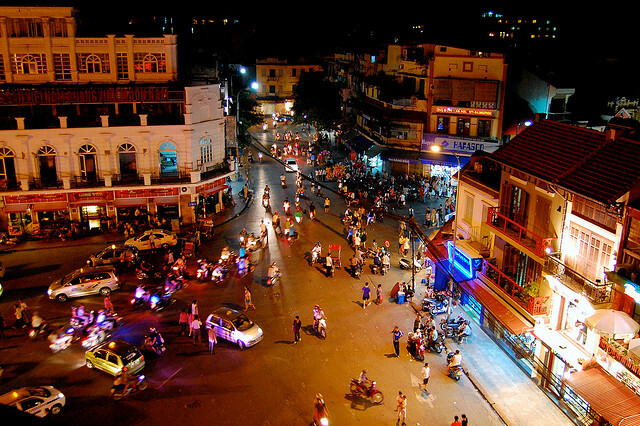 One of the things that make Vietnam a backpacker paradise is the wealth of accommodation options, and the fact that lodging can be ridiculously cheap. Sleeping a night in a dorm style hostel room can cost as little as $5, and even $10 hotel rooms are much cleaner and comfortable than what you’d expect for the price. Small family-run guesthouses are quite popular with backpackers from around the world, and they are great places to meet and socialize with fellow travelers. Vietnam is a foodie’s paradise and a cheapskate’s paradise at the same time, since delicious food can be found aplenty at really low prices. Pho, Vietnamese noodle soup, can be found virtually everywhere, from fancy specialized pho restaurants to street stalls. Street food in Vietnam is generally safe, and just as delicious as what you find in expensive places. 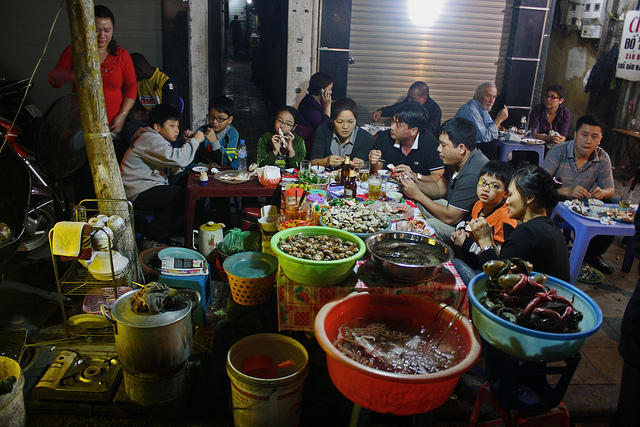 Sandwiches and seafood dishes that would count as delicacies in other places can be found in small cheap eateries, so one thing that you can be sure of while backpacking in Vietnam is that you’ll never go hungry. The main traveller hub is located in the Old Quarter which stretches all around Hoan Kiem Lake, encompassing plenty of restaurants, cafes, bars, internet cafes and travel agents. Pretty much everything a backpacker could need (and many things you don’t – Steamed dog meat anyone?) can be found around the Old Quarter – which serves as a good base for exploring the rest of the city. Phạm Ngũ Lão street is located in District 1 of Ho Chi Minh City, formerly Saigon, Vietnam. It was named after Pham Ngu Lao, the national hero. The intersection of Pham Ngu Lao and De Tham streets are referred to as the backpacker district of Saigon.